Update: Official synopsis released for The Mummy (2017). Synopsis: Thought safely entombed in a crypt deep beneath the unforgiving desert, an ancient queen (Sofia Boutella of Kingsman: The Secret Service and Star Trek Beyond) whose destiny was unjustly taken from her, is awakened in our current day, bringing with her malevolence grown over millennia and terrors that defy human comprehension. Update: Originally scheduled to release March 24, 2017, but pushed back to June 9, 2017. That is the same day as World War Z 2 (2017). Tom Cruise and Sofia Boutella officially joins the cast. The Mummy (2017), The Mummy Reboot has been dropped two times by directors, but Universal Pictures has now turned to the producer Alex Kurtzman to direct The Mummy Reboot too. This film will not affect Kurtzman directing Sony"s Venom movie. Kurtzman has been a major driving force in bringing Universal Studio"s vision of a shared monster universe so with his vast involvement there, he will be planning The Mummy with Dracula, the Wolf Man, Frankenstein and possibly The Creature From the Black Lagoon in mind among other monsters. The Mummy (2016) will be the first to bring this vision to life; Dracula Untold is a different story but who knows, may have an easter egg at the end like Marvel films. 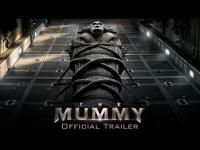 The Mummy has a lot of time to mature with the far release date of April 22, 2016. No synopsis yet but The Mummy will be an action-adventure similar to The Mummy (1999). THE MUMMY Might Cast Russell Crowe! ?